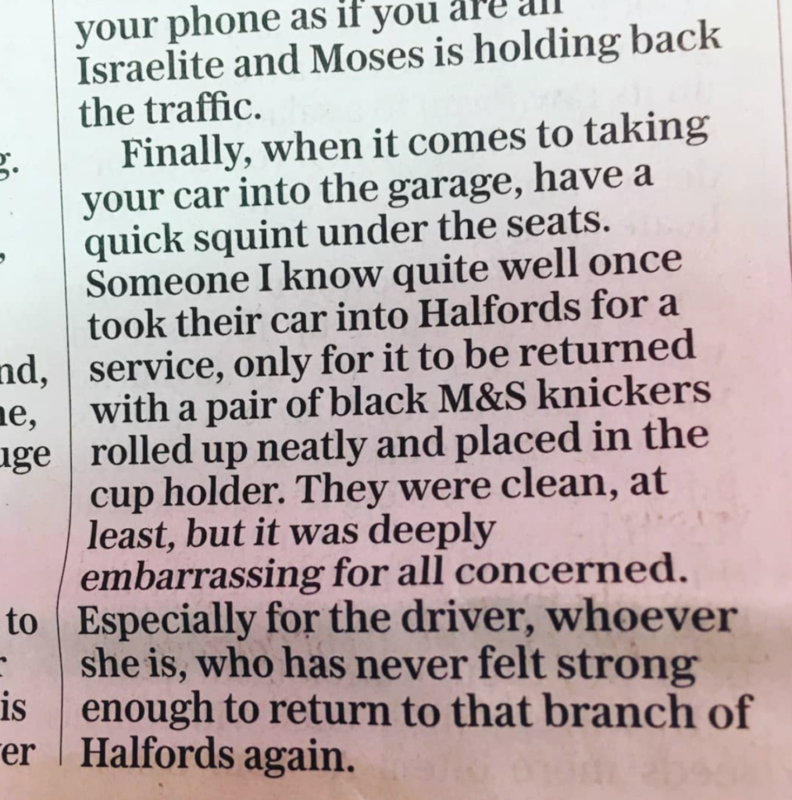 Here is my column from last weekend which is mostly about how angry I get when driving. I don’t get angry anywhere else. Just in the car. My sister thinks I have a problem. But I absolutely don’t have a problem. People who don’t wave or indicate any sort of thanks when you pull over and let them through are the ones with the problem. Also here’s an interview I did with the splendid Baroness Trumpington for February’s issue of Tatler which has just gone up online. I felt truly honoured to interview her and even more honoured to stay for a gin and tonic and fish and chips (it was a Friday) with her afterwards. *My mum and I have long been fans of Laurie Graham’s. She’s an extraordinarily talented writer. Can assume all sorts of historical hats and write about different periods of history with such comic genius it’s actually quite annoying. If you’ve never read any start with Gone with the Windsors. Then maybe The Importance of Being Kennedy. On the cover of some of her books is a quote from Marian Keyes which says ‘Why is Laurie Graham not carried on people’s shoulders through cheering crowds? Her books are brilliant!’ V true. I’m always amazed that more people haven’t heard of her. I’ve also just discovered her blog which is typically brilliant. Read THIS for instance.